Hello, and welcome to our website! 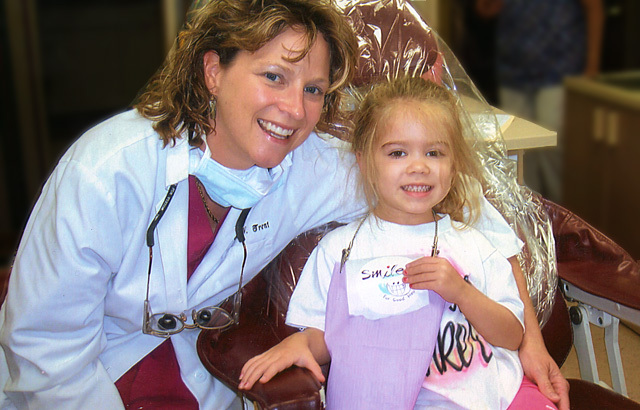 I’m so happy for the opportunity to show you who we are at Trent Family Dentistry, and what Smiles mean to us! I began practicing as a Dentist back in 1993 because I’ve always believed that when people feel good about their Smile, they feel good about themselves. I’ve always seen each tooth as it’s own tiny work of art, and my passion is to bring out each tooth’s natural beauty. We take great pride in helping people and families in and around Midlothian and Chesterfield find their very best looking smile…so you’ll want to show it off more often! Please browse through our site…we’ve designed it to be simple and easy for you to find what you came to see! Meet our whole team, see what our patients have to say, learn about the most common dental issues people have and how we can help…and see exactly what you’d experience if you choose us to become your trusted Dentist. We LOVE what we do, and I’m sure you’ll see that comes through. We’re here to help, so please feel free to call our office with any questions you may have. Thanks, again, so much for coming to our website! I hope for the chance to see you soon!